September is Emergency Preparedness Month. 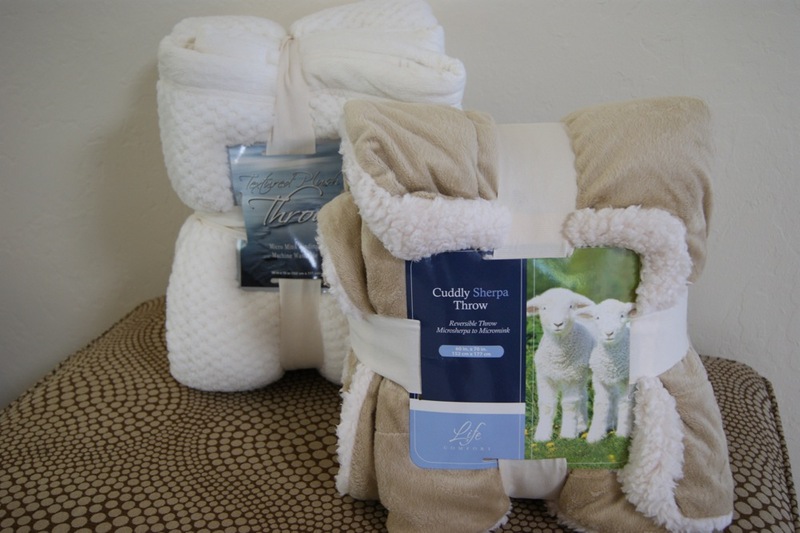 Last year I wrote a popular post with directions on how to create a kit for your home and your car and today I wanted to refresh you with the same tips. Please don’t let another year go by without setting up a kit for both your home and your car. 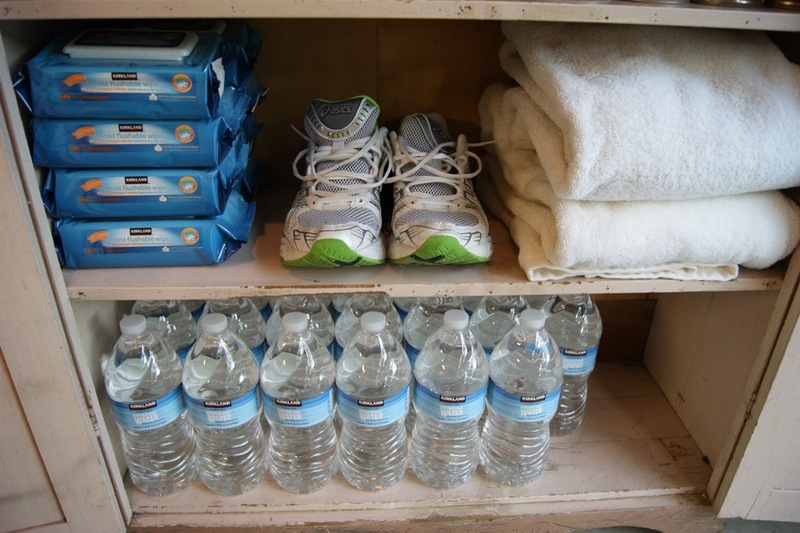 As a professional organizer I am able to take a look inside dozens of homes every week and it always shocks me when I don’t find an emergency kit. It doesn’t matter where you live, you are susceptible to an earthquake, hurricane, snow storm, power outage, flood, etc. and any of these things could leave you and your family stranded at home for a few days without power or electricity. With all of the time we spend running errands and commuting to work it is definitely possible that an emergency could happen while you are driving. Make a resolution to have a small emergency kit in the trunk of your car with a few emergency essentials. 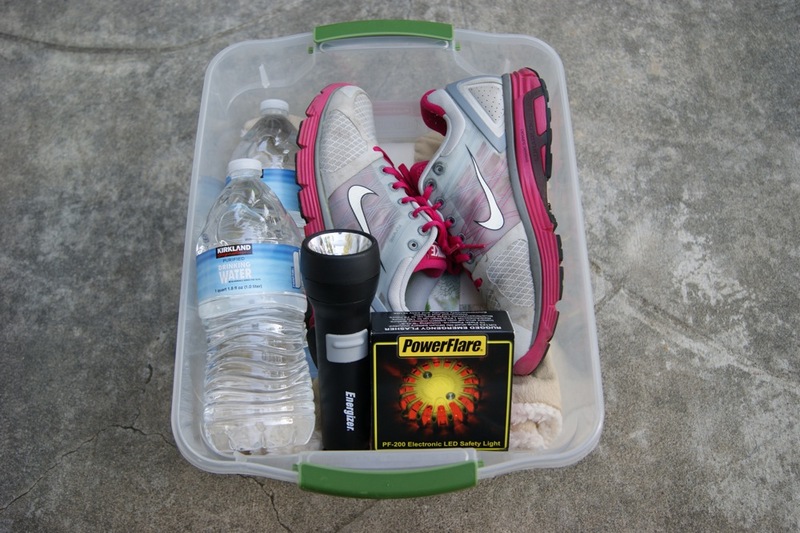 This is what my emergency kit for my car looks like, it has a blanket, an extra pair of sneakers and socks (just in case I am wearing heels or sandals and need to vacate my car and walk), a flashlight, extra batteries, a power flare, and water. If you have kids you will need to update your kit more frequently to accommodate all of the changes your kids go through as they grow. 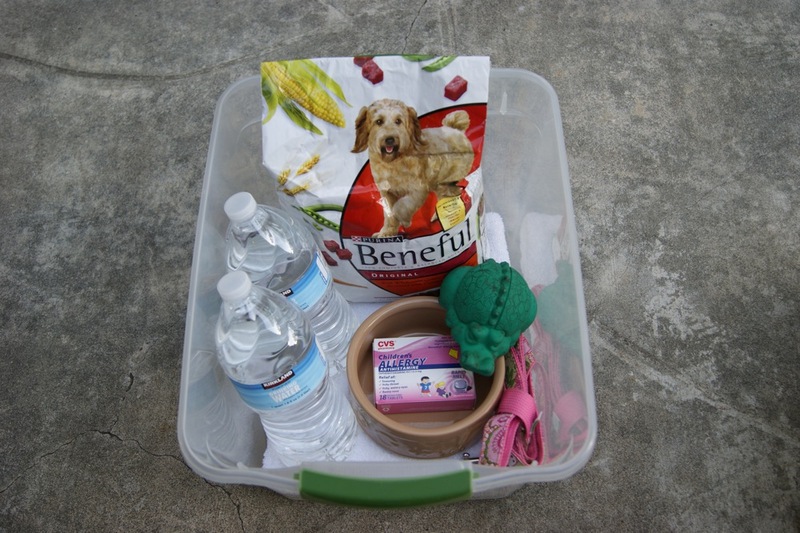 Next let’s talk about emergency kits for your pet. This is my emergency kit for Harper, it contains a towel, food, water, and extra food dish, a leash, a toy, and her medicine (she has terrible allergies so Children’s Benadryl is a staple). I keep her kit stored next to my emergency home kit, it is stored in a small bin so I could carry it with us if we had to evacuate. Living in California I thought more people would have an emergency kit in their homes but I rarely see one. I only say that because when we moved here my mom insisted that we set up one because of the high risk of earthquakes. When I ask my clients why they don’t have one they say they don’t worry about emergencies or they don’t know how to create one, or they have been meaning to set one up but they just keep forgetting. 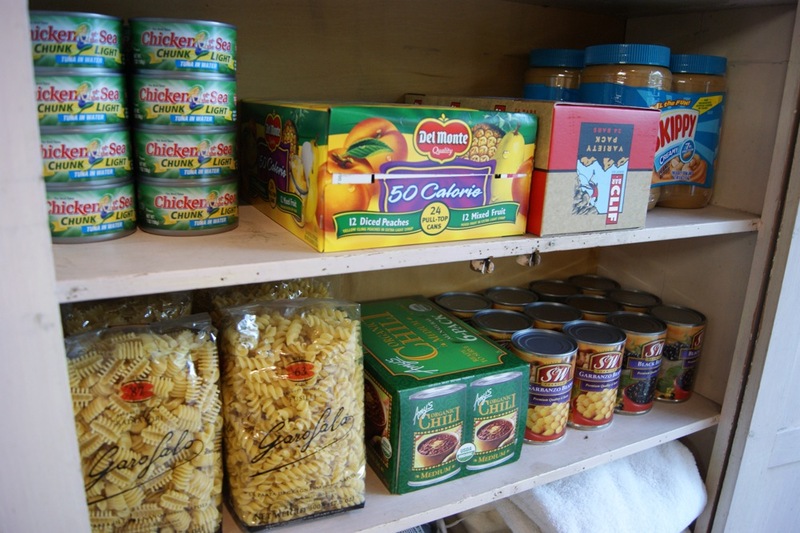 How many of you have an extra supply of food, water, and emergency items in your homes? This is what my kit looks like. It is recommended you have supplies stored in air-tight tubs or on shelves in your garage or basement. Mine are stored in a cabinet in our garage. 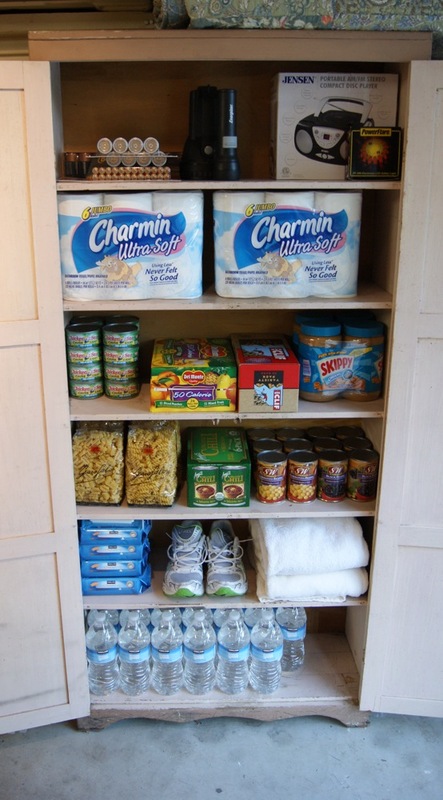 It holds all of our essentials and it is easy access to the kitchen if I need to replace or store extra items. I also keep a duffel bag on top just in case I need to leave my house during an emergency. I stock my kit with non-perishable food from Costco because it comes in bulk. I chose items that we would eat normally like tuna, protein bars, peanut butter, fruit cups, canned chili, canned beans, and pasta. 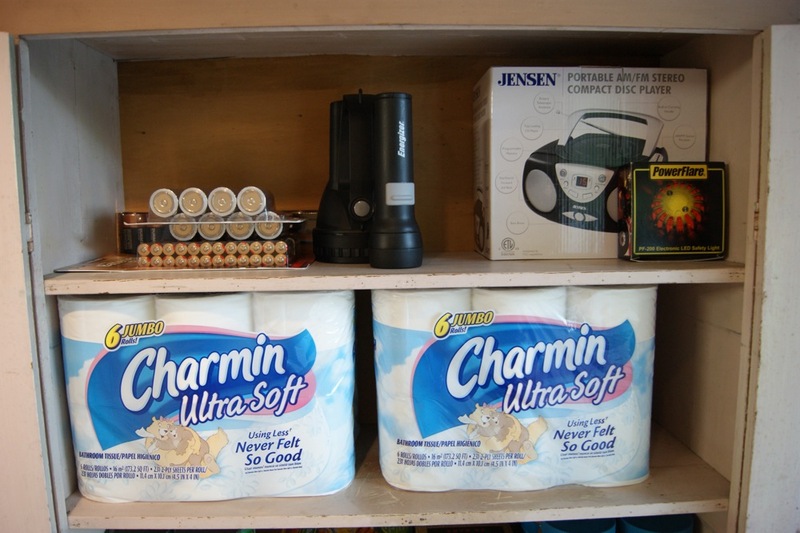 Flashlights and a radio with extra batteries and a Powerflare, first aid kit, and toilet paper. If you have never heard of Powerflare go to their website, it is a much safer alternative to a flare. Just in case we can’t get into the garage I also have a kit in a backpack in our hall closet that Google gave to us last year. It is very similar to this kit from Quake Kare. If the thought of setting up a kit like mine overwhelms you I would highly suggest you order it. Please make this year the year that you finally set up an emergency kit in your home. If you need help carving out a space or creating a plan for what your family needs please contact me. This is such a great reminder! We live in Alabama where 4 tornadoes – 3 of them F4 or higher came through on April 27, 2011. My husband is a homebuilder, so when we built our house, we built our master bedroom closet to withstand an F5 tornado. You'd think with such a posh storm shelter (cable, carpet, phone line) AND after what we'd see *just* last year, you'd think we'd have all of our supplies in there, but no. 🙁 I think I'll get started on our kit today! Thank you. That is awesome that you have such a great shelter in place! You better hit Costco this weekend and load it up with supplies! Wow you have really made me think about some things Im going full steam ahead with this one thanks for sharing. Thanks! I hope you set up a kit soon!